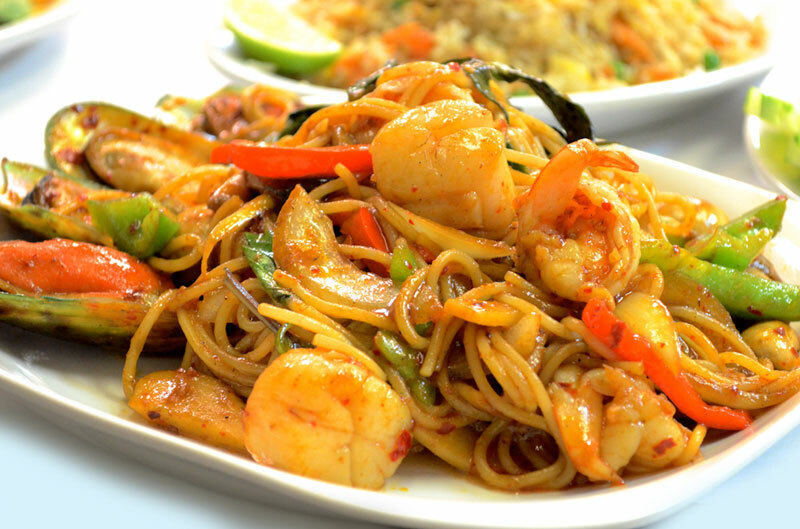 Spaghetti stir fried with shrimps, scallops, mussels, mushroom, onion, bell pepper, jalapeno pepper, bamboo shoot, thai chili paste, and sweet basil. 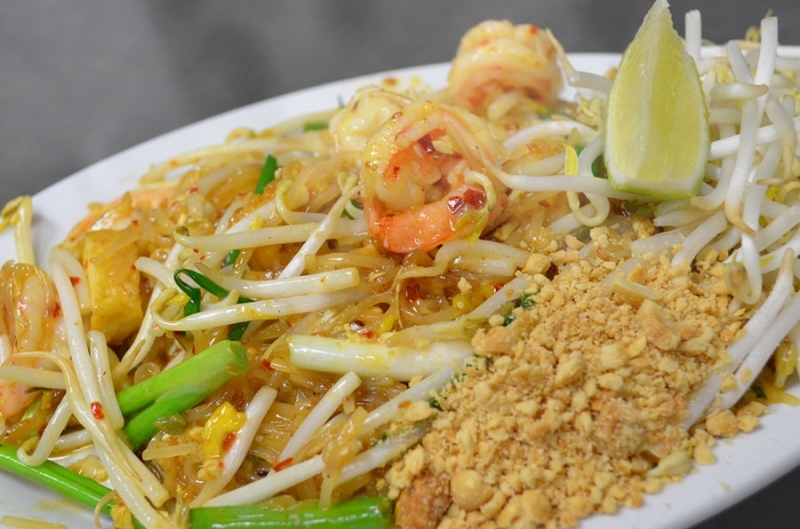 A Thai favorite Stir-fried shrimp with thin rice noodles, bean curd (tofu), radishes, fresh bean sprouts, egg, scallions topped with ground peanuts. 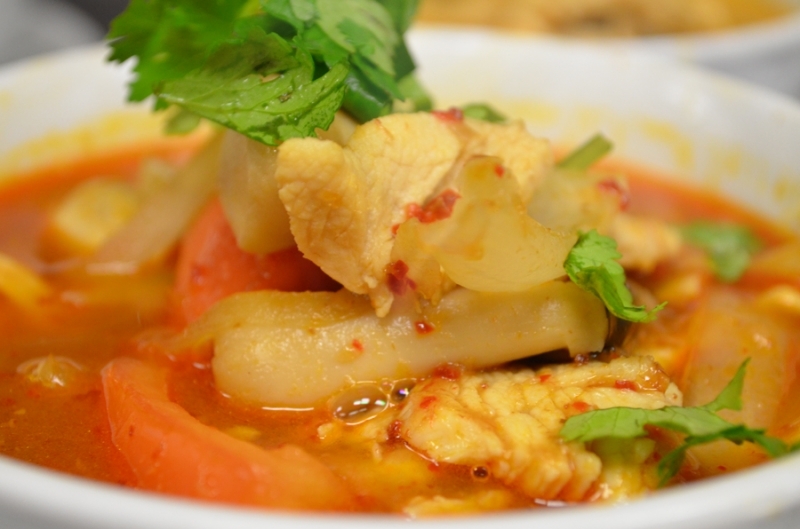 Special chicken soup flavored with Thai herbs, lemon grass, lime juice, straw mushrooms, hot peppers, tomatoes, onions, scallions and cilantro. 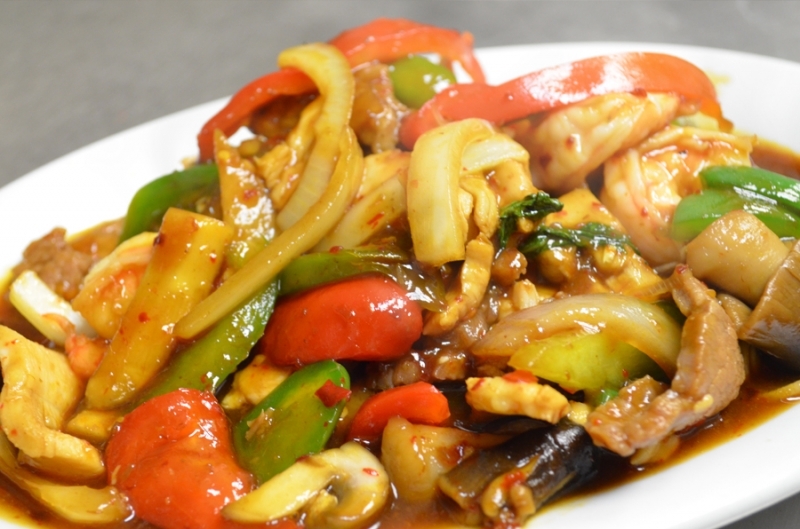 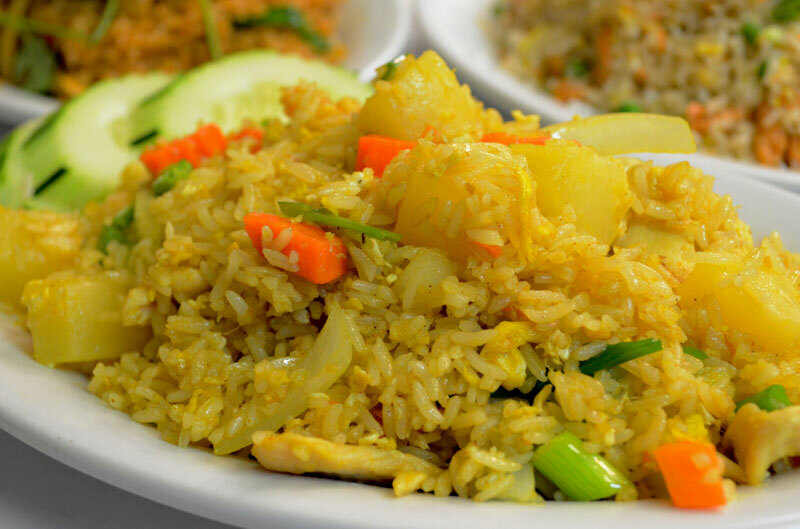 A mellow blend of shrimp, beef and chicken, sauteed with onions, green peppers, mushrooms and bamboo shoots with Thai chili paste. 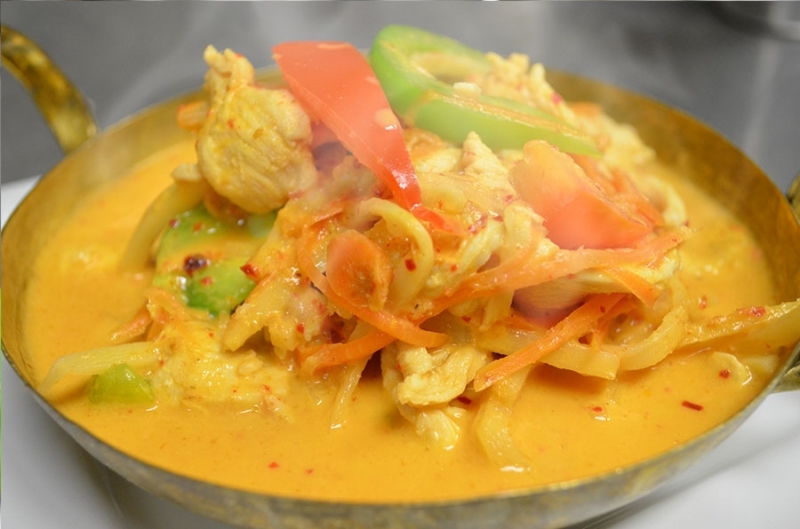 Stir fried chicken, egg, garlic, white onion, carrot, yellow curry powder, and green onion. 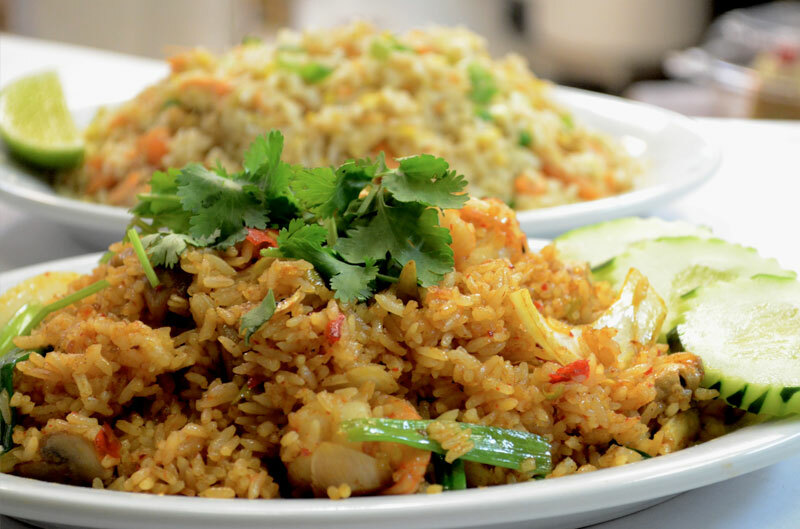 Stir Fried shrimp, mushroom, tomoto, lemon grass, lime juice, top with cilantro. 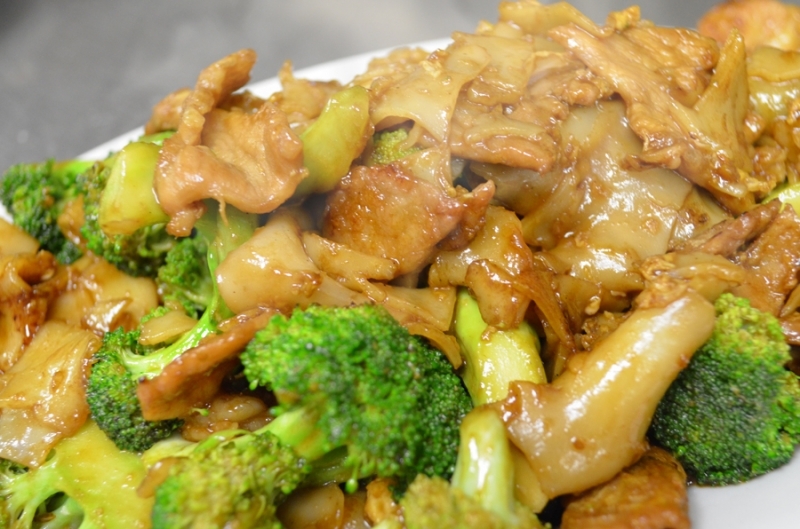 Sauteed rice noodles with pork and fresh broccoli in a soybean soy sauce. 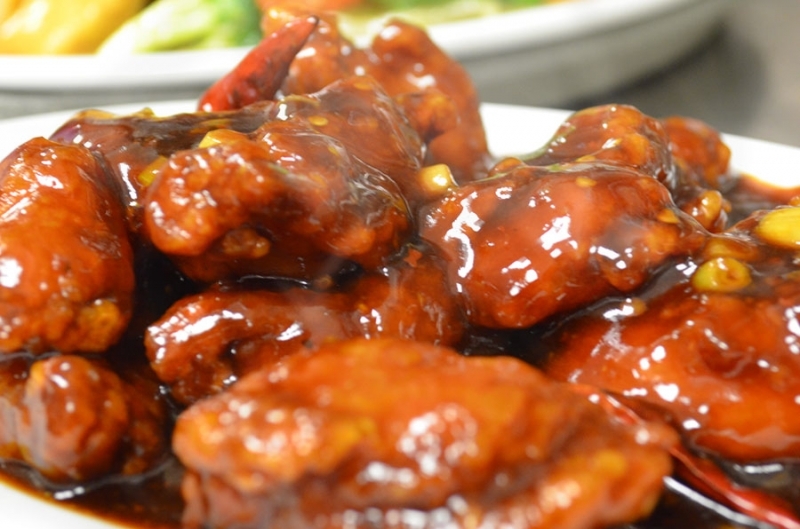 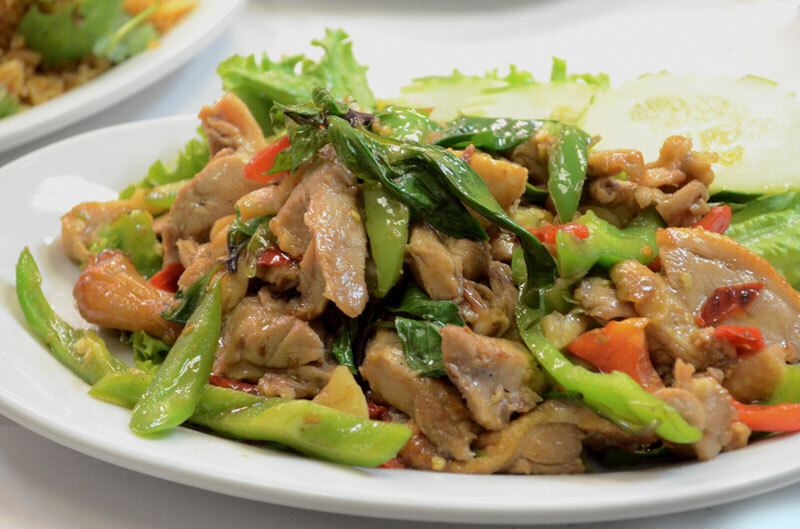 Roasted duck cooked with traditional Thai brown sauce, garlic, chili, basil and bell peppers. 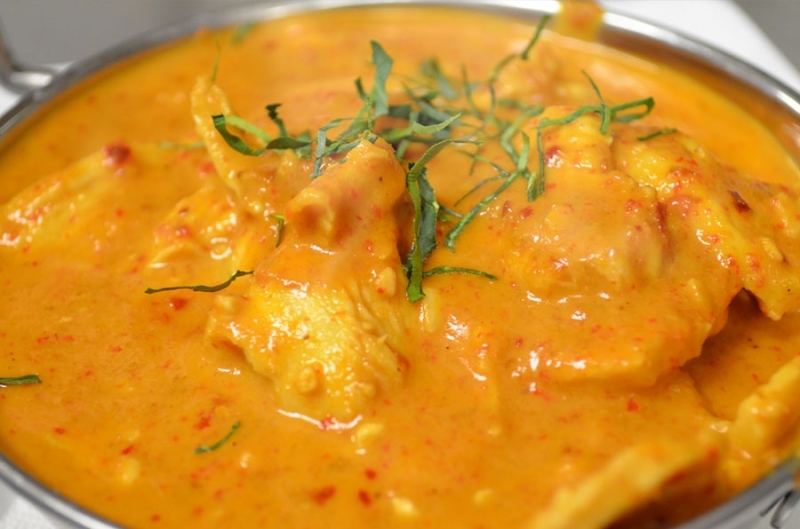 Beef, pork or chicken cooked with coconut milk, sweet curry paste and peanuts. 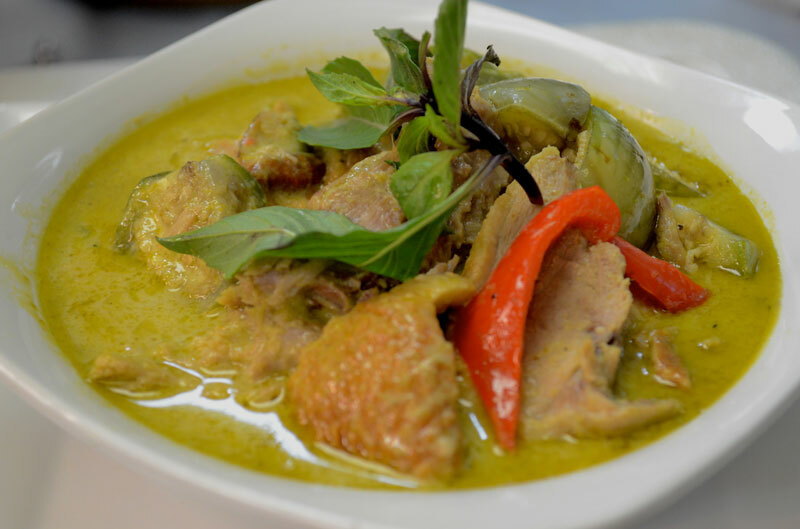 Cooked green curry with roasted duck thai eggplant, jalapeno pepper, bell pepper, in coconut milk topped with sweet basil. 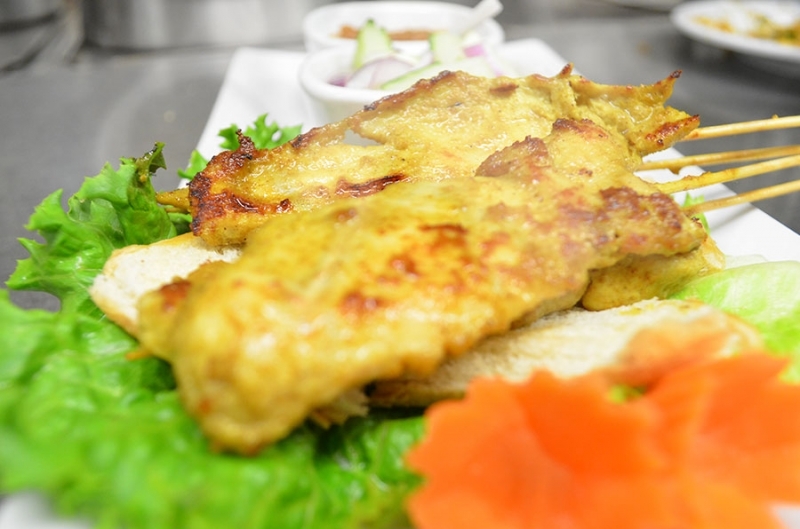 Tender chicken breast marinated in Thai spiced paste, seasoned with coconut milk and shredded bamboo shoots. 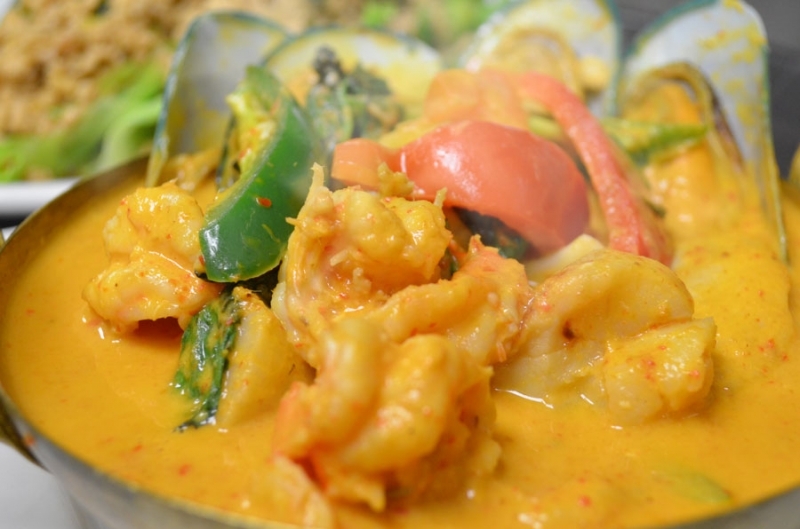 Fresh mussels, shrimp, scallops, fish and squid'in a rich red curry sauce. 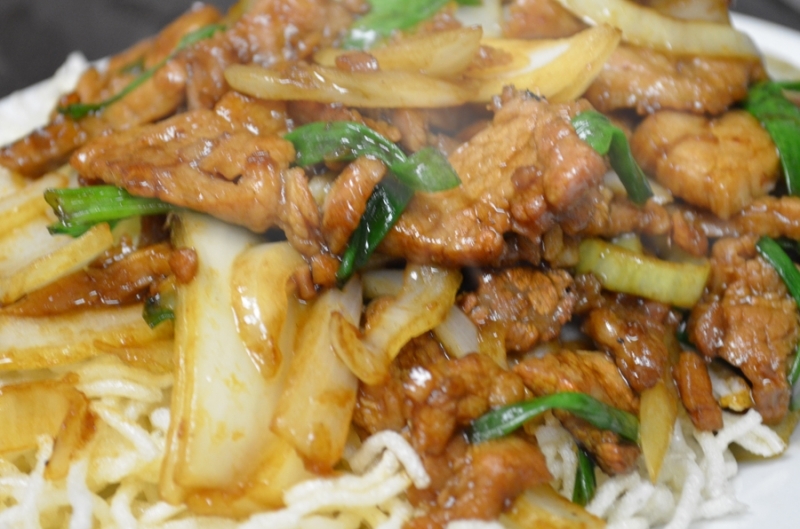 Slices of lean beef, green onions and jumbo onions, presented over crisp rice noodle. 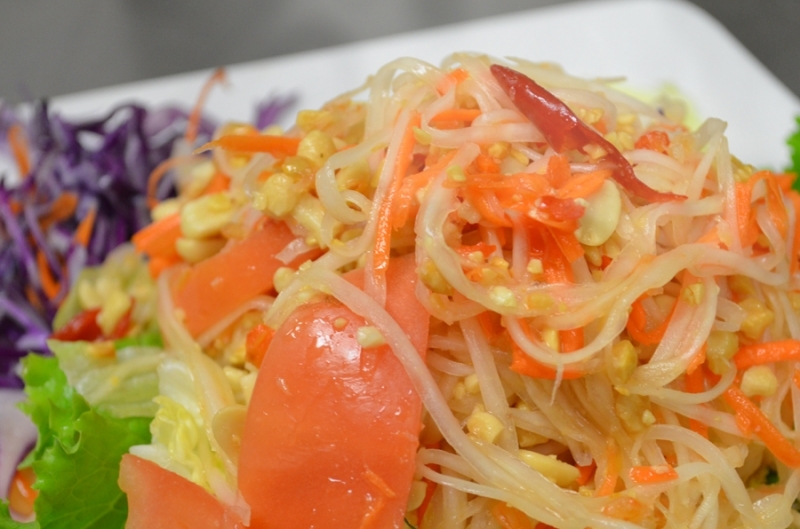 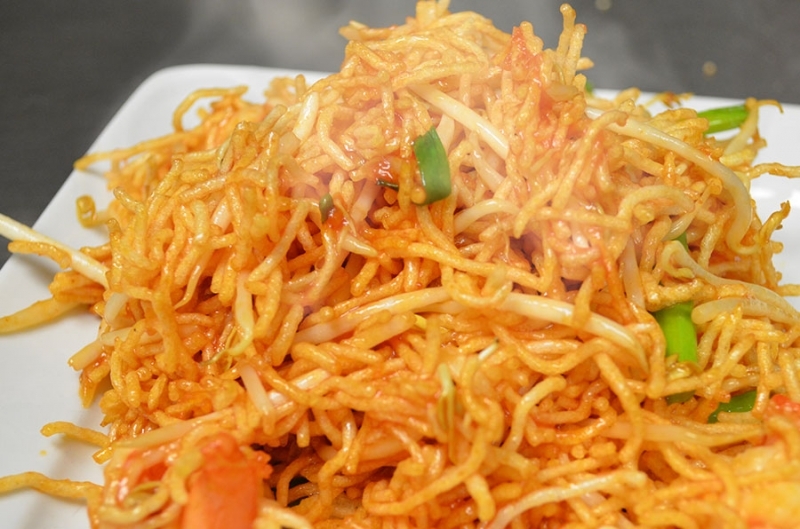 Famous spicy Thai salad, Shredded fresh papaya mixed with dried ground shrimp, peanuts, lime juice, garlic and tomatoes. 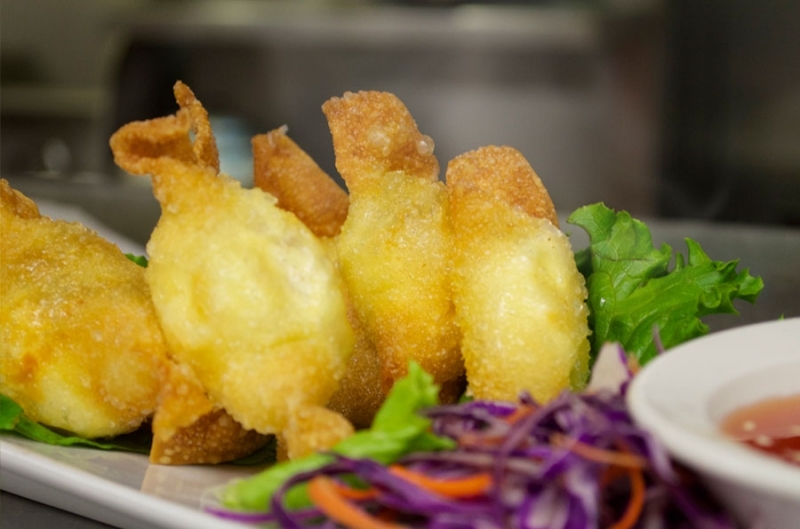 Fried wonton skin filled with cream cheese mix with immitaion crab meat.